Since my review of David Constantine’s Poetry was posted on Christ and University yesterday, I thought I would share a poem or two of my own. They are probably quite bad (the rhythm and metre is often a mess). So, feedback (preferably constructive) is welcomed. 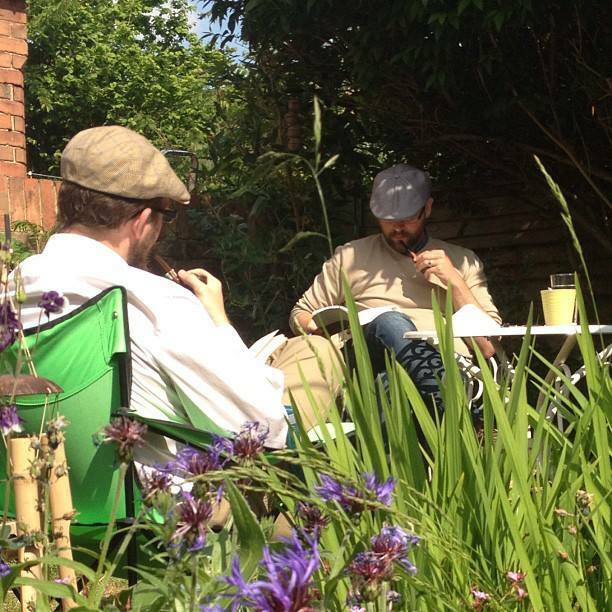 These two poems were written on a sunny afternoon in my back garden. Two quick etymological notes. The word dumbledore is colloquial eighteenth century British term for a bumble bee. Also, the term gnome has its origins in one of the Greek terms for knowledge (gnosis). It was also at one point somewhat interchangeable with elf or fairy (Tolkien calls his high elves Noldor in part for this reason). Ok, on to potentially poor poetry. To writing you this letter. You seem to love none better. That you treat them like common nettles? I’m sure they meant naught but fun. Come back, my friends, and say hello. I’ll put on the biggest of my kettles. We’ll drink mead, put up our tired feet. None is wiser, nor longer living than the gnome. Caves built by other serve for home. Before the human race began its tradition of sinning. No one can be sure; perhaps they do not know. Others that they do not exist and there is naught to know. Both camps are wrong, they truly must be. In truth, we have simply forgotten how to see.